You can modify your search criteria and try again. 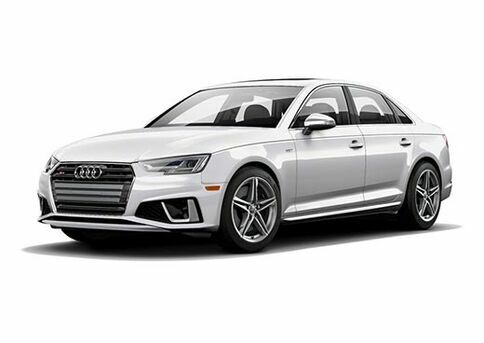 Otherwise you can use our Auto Finder to be notified of new matches by email or call our sales team at (519) 956-7700 for help locating the perfect fit at Audi Windsor! This 2010 Chevrolet Malibu Hybrid, comes with 17'' 5 spoke wheels, Power mirrors, windows and trunk release, Steering wheel mounted volume and cruise controls, Voice command & OnStar, Digital FM/AM radio and Air Conditioning. Buy with confidence! Our pre-owned vehicle pricing policy is simple. We use no hassle, no haggle, live market pricing! Save time and money. All prices shown include all fees, reconditioning costs, Car Fax report, complete vehicle detailing and a full tank of fuel. Taxes and licensing extra. At Audi Windsor we strive to provide exceptional customer, honesty and a transparent approach to exceeding the needs of our customers. Click or call to book your test drive today! *While every reasonable effort is made to ensure the accuracy of the stock images, pricing and information contained on these pages we ask that you please verify any information in question with Audi Windsor. Buy with confidence! Our pre-owned vehicle pricing policy is simple. We use no hassle, no haggle, live market pricing! Save time and money. All prices shown include all fees, reconditioning costs, Carproof report, complete vehicle detailing and a full tank of fuel. Taxes and licensing extra. At Audi Windsor we strive to provide exceptional customer, honesty and a transparent approach to exceeding the needs of our customers. Click or call to book your test drive today! 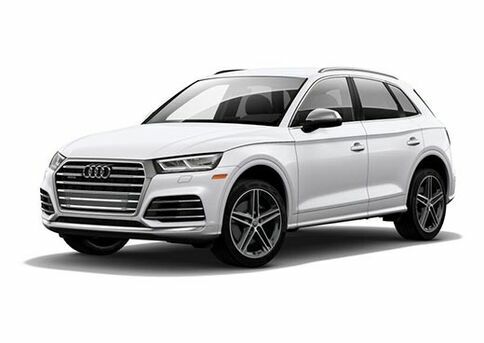 *While every reasonable effort is made to ensure the accuracy of the stock images, pricing and information contained on these pages, we ask that you please verify any information in question with Audi Windsor. Buy with confidence! Our pre-owned vehicle pricing policy is simple. We use no hassle, no haggle, live market pricing! Save time and money. All prices shown include all fees, reconditioning costs, Car Fax report, complete vehicle detailing and a full tank of fuel. Taxes and licensing extra. At Audi Windsor we strive to provide exceptional customer, honesty and a transparent approach to exceeding the needs of our customers. Click or call to book your test drive today!!! 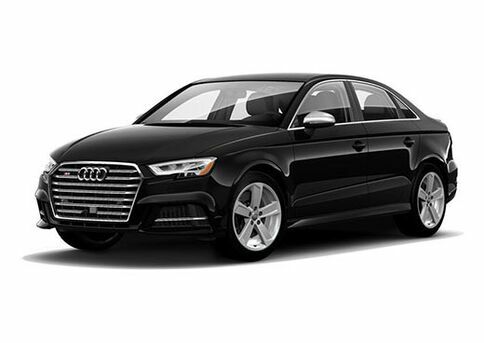 This luxurious compact Audi A3 Sedan In magnificent Monsoon Grey Metallic Is sporting a 2.0L Inline 4 Turbo charged engine producing 220 horsepower & 258 ft-lbs of torque. Only 12000 kms & All new rotors and serviced brake pads. This A3 comes with the Technik package which includes Navigation w/ MMI Touch, Audi virtual cockpit, Audi Side Assist, LED Headlights & tail lamps with dynamic indicators, Bang & Olufsen Sound System, Advanced Parking System with front and rear sensors, Rearview camera, Audi Drive Select (NEW FOR 2018 MODELS), Smartphone interface, Auto dimming rearview mirror with compass, Power & heated driver and passenger seats, 3-Spoke leather multifunction heated steering wheel, Automatic climate control, Bluetooth, Sirius satellite radio & Panoramic roof. Buy with confidence! Our pre-owned vehicle pricing policy is simple. We use no hassle, no haggle, live market pricing! Save time and money. All prices shown include all fees, reconditioning costs. Car Fax report, complete vehicle detailing and a full tank of fuel. Taxes and licensing extra. At Audi Windsor we strive to provide exceptional customer, honesty and a transparent approach to exceeding the needs of our customers. Click or call to book your test drive today! *While every reasonable effort is made to ensure the accuracy of the stock images pricing and information contained on these pages We ask that you please verify any information in question with Audi Windsor. This gorgeous 2018 GMC Sierra Denali In a beautiful Metallic Grey Is powered by a 6.2L V8 producing 420 horsepower and 460 lb-ft of torque. The maximum towing capacity of the Sierra 1500 Denali is a whopping 9,300 lbs. The payload is just as impressive, the Sierra 1500 Denali can carry up to 1,760 pounds. Overall, the gross vehicle weight rating is 7,200 pounds. This vehicle Is equipped with power runners and 22'' rims sunroof, wireless mobile charging, large touchscreen radio, backup camera & comes with a very nice hard roll up tonneau cover for the bed. This is a one owner local truck and in mint condition call soon! 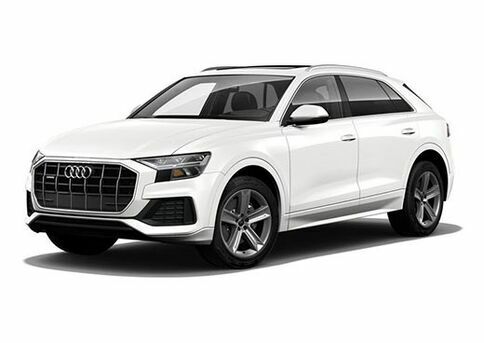 This beautiful and luxurious 2018 Audi Q3 Technik Is powered by a 2.0L Inline 4 turbo charged producing 200 horsepower. This is a one owner local trade in mint condition with all the goodies S line package Panoramic Sunroof leather seats Blind spot warning and many more features! 2018 Q7 Driver Assistance Plus Package, BLACK OPTICS PACKAGE, S-Line Sport Package Apple Car Play and so much more! Buy with confidence! Our pre-owned vehicle pricing policy is simple. We use no hassle, no haggle, live market pricing! Save time and money. All prices shown include all fees, reconditioning costs, Carproof report, complete vehicle detailing and a full tank of fuel. Taxes and licensing extra. At Audi Windsor we strive to provide exceptional customer, honesty and a transparent approach to exceeding the needs of our customers. Click or call to book your test drive today!!! A truly alluring Audi TT roadster In Brilliant Black. Virtually NEW, 2.0L Turbo charged Engine producing 220 horsepower & 258 ft-lbs of torque. Driver comfort package which includes; Audi parking system with front and rear sensors, Rear view camera, Audi side assist & Advanced key, $1400 value. Also included in this vehicle Is 19'' forged 5-arm star design, Power S Sport seats in Fine Nappa leather with diamond stitching & neck level heating, 245/35R19 performance tires, Xenon plus headlights with LED daytime running lights, Electric wind blocker, Power folding acoustic convertible top, HomeLink® garage door opener, LED tail lights, Audi music interface with USB connectivity, Audi virtual cockpit 12.3'' hi-res LCD, MMI touch with hand-writing recognition, Audi sound system with 9 speakers, Automatic climate control, 3-spoke leather multifunction plus steering wheel, Audi drive select, Audi progressive steering, Auto-dimming/power-folding heated exterior mirrors NEW FOR 2018 YEAR, Bluetooth® interface, Voice control SiriusXM® satellite radio & Optional Navigation package $2200 value. *These estimates reflect new EPA methods beginning with 2008 models. Your actual kilometers will vary depending on how you drive and maintain your vehicle. Actual kilometers will vary with options, driving conditions, driving habits and vehicle's condition. Kilometer estimates may be derived from previous year model.